Isaiah started coaching in 2009 with a Little 500 team in his home town of Bloomington, IN. From there he attended Marian University on scholarship for cycling, and after graduation went on to race his bike for a living for three years traveling the country and the world. After deciding to focus on coaching full time, he moved to St. Louis to manage the cycling studio and coaching center Pedal Hard. 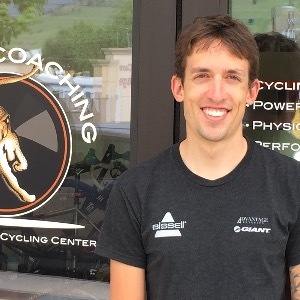 After two years he move out to the mountains in Boulder and now is a coach for FasCat Coaching. Philosophy: Every athlete is unique and takes a unique plan to help them achieve their potential. Communication is everything, from both sides. A coach is meant to build an athlete both physically and mentally. Success. Coach Isaiah Newkirk has been notified of your message.